What head beads to use? Post subject: What head beads to use? 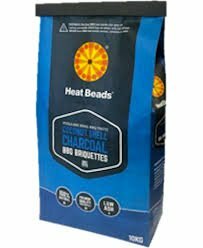 I want to use heat beads for a low n' slow cook using the snake method in my weber kettle. I was wondering witch variety would give the best taste. Do the original heat beads have a weird smell when burning or is it just me? Has anyone used lump charcoal with the snake method? I was thinking it wouldn't be as consistent as heat beads.